Beyond using Zingtree decision trees, one of the best things you can do to ensure a positive customer experience is to integrate a live chat system like Zendesk Chat (formerly Zopim). Live chat is convenient for customers, and a time and resource-saver for companies. In fact, in a survey conducted by Forrester, 44% of respondents said that having a live person answer their questions was one of the most important features a website could offer. 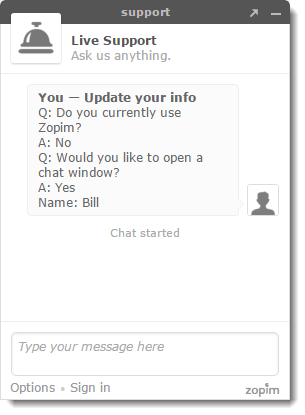 To make live chat even more valuable, and excellent customer support more easily achievable, we updated our software to allow Zingtree to open a Zendesk Chat session, gather information from your clients before the chat session begins, and include a transcript of the Zingtree session as a part of the chat. 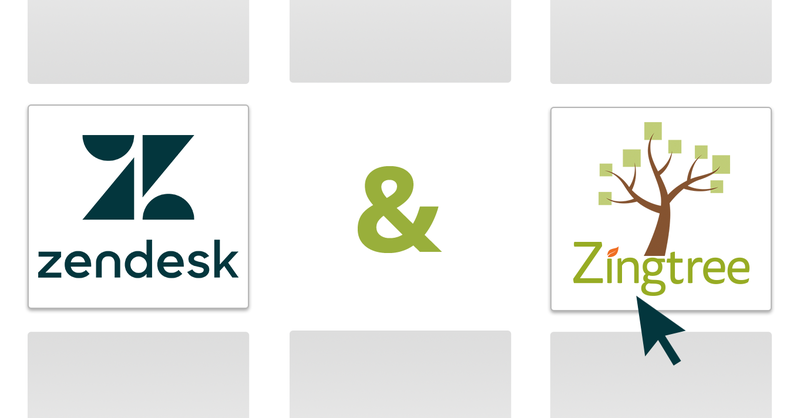 View our Zingtree + Zendesk Chat demo. You need to have a Zendesk Chat client in place on the page that contains your tree. You can examine the Zendesk Chat Demo tree from the Gallery.